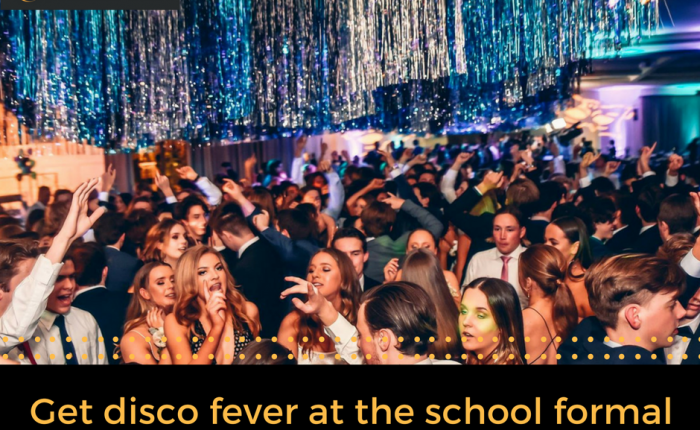 Whether you’re in charge of planning a small-scale school disco or you’re leading the way with the next high school formal, you’ll know how important it is to make the event one to remember for the guests. While you may be tempted to prepare a playlist full of classic crooners and utilise the school hall lighting for your event, the younger partiers may have different requirements. Follow these tips to make the next school dance you’re involved in a success. To really make a splash at the social event, consider hiring event lighting to set the scene and illuminate the dance floor. Strobe lights, laser beams and fluorescent coloured bulbs can all add dramatic effects to your venue, turning a standard school hall into a boogie wonderland. Engage an AV stylist to help you put together the perfect package. If you’re using more than one room or want to create different effects in different spaces your AV Stylists can help you. Using a selection of lighting options you can set up in different areas of the venue you can create a sense of wonder and mystery in the familiar room. You could even mix things up with a fog machine for a spooky, mystical effect – perfect if the formal has a theme! You have several options when it comes to sound at the formal. Sometimes a live band is the best option to get the crowd on their feet and tearing up the dance floor. For some guest lists, a DJ is a great option to mix in classic hits with new dance music. Other times you may be content with an digital music player and speakers blasting out a selection of party music. You can hire audio systems to help get the amplification you require without splashing out on a whole new stereo system for the event. When it comes to the type of music to play at the formal, it’s important to know your audience. Consider polling students about songs they want played, and be sure to include a good mix of current top 40 numbers as well as your traditional party favourites – think Spice Girls, Backstreet Boys and NSync to get your party goers feeling the throwback and ready to dance! Get in touch now to see how we can help make this years school formal be unforgettable!